Changes the Dragon Priest Masks on beast races to something a little less skull snapping. I just extruded a few polygons it's all vanilla assets so do whatever you want. This mod adds additional meshes so that Argonian and Khajiit's snouts are not broken when wearing the base game Dragon Priest Masks. 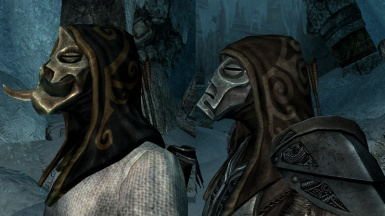 This mod will work with all standard retextures, and I've included a patch for Apophysis Dragon Priest Masks. Unique Dragon Priests Masks might need a patch, but I don't know as I don't use it and don't plan to. 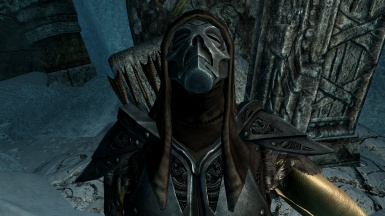 This mod is NOT compatible with mods that change the stats/enchantments of the masks. You WILL need to create a merged patch in TES5Edit. It's also not compatible with Improved Closefaced Helmets, whom as I've just found out looking at their page, have already kind of done the same thing I've done here, but open faced. Huh. Oh well, different design philosophies, more choices never hurt nobody, etc. 1. 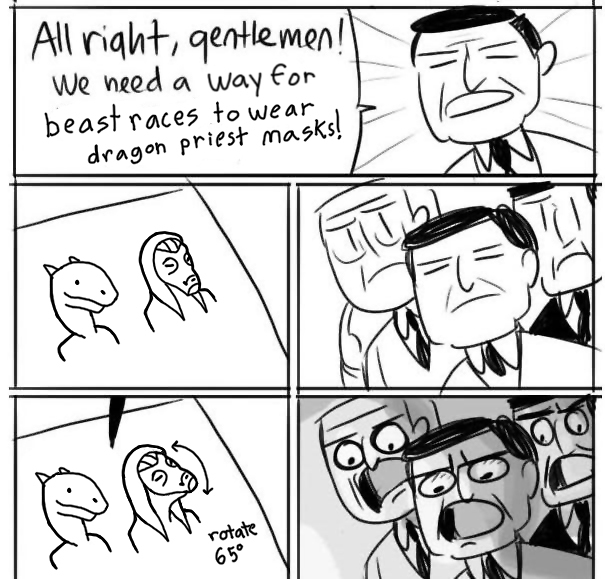 Do the Dragonborn Dragon Priests Masks. Yeah I still need to do them, and I'll get to them eventually. Probably when I get to the Dragoborn content in my playthrough, as I am actually trying to play the game here. 2. Make a merged esp with my Clavicus Vile mod.